It is difficult to overplay the level of technical complexity and, thus, achievement associated with this astonishing accomplishment. Tatenokawa are well known for pushing the boundaries of what is achievable with highly polished rice. 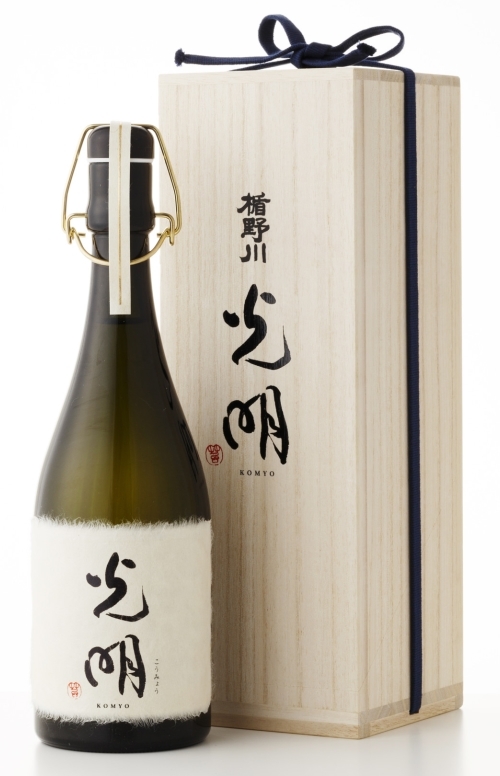 They had already produced an 8% polished and a 7% polished sake but, 1% is a whole different level. When the 1% was announced, I took the opportunity to ask both Jumpei Sato, Tatenokawa’s CEO & Head Brewer, and Takeshi Sato (no relation), Tatenokawa’s number 2 a number of questions. Junpei Sato: In the history of sake, no brewery has ever achieved a rice polishing of 1% before so Zenith is a world first. Over many years we’ve been building relationships with local farmers so that we’re now at a stage where the vast majority of the rice we use is grown, under contract, by these local experts. 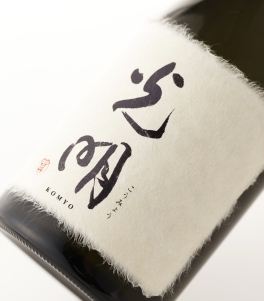 Dewasansan is a local sake rice from Yamagata Prefecture which is steadily being recognised, in the sake-making community, as a rice of excellent quality – possibly even to challenge the likes of the famous Yamadanishiki! Last year, our contracted farmers, and local retailers, challenged us to show the world just how excellent Dewasansan is: Zenith is our answer to their call. We use their Dewasansan First Class rice for Tatenokawa “Zenith” Komyo Dewasansan. Also, frankly, we wanted to challenge ourselves and see if it could be done! Just how small is 1%? 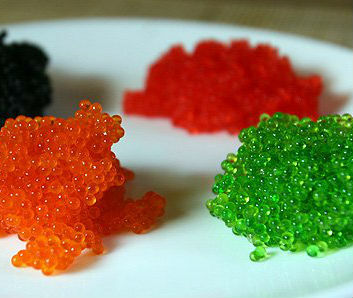 Kazunoko (herring roe) – when I asked how big the 1% polished rice was, this is the image I received by way of reply! It’s small, really REALLY small! 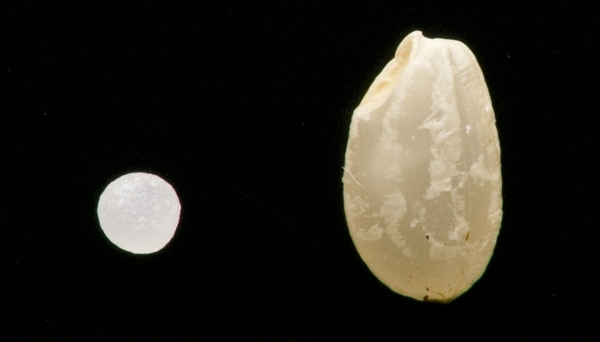 Although, on seeing the rice, some people people expect it to be even smaller, “That’s not a hundredth of the size!” they exclaim. It’s worth remembering that it 1% by weight, not by volume. How long does it take to polish down to 1%? We also rest the rice between each stage so the whole polishing process actually takes an extremely long time! What were the major challenges you encountered? Takeshi Sato: The major challenge was koji making (and always is for really highly polished rice) the rice grains are just so small! Jumpei Sato: We’ve had many years experience working with highly polished rice so most of the problems we could anticipate and plan for. Takeshi Sato: Yes, for example, it’s very difficult to cultivate koji mould on 1% steamed rice because nutrients are scarce, the rice dries out extremely quickly and it’s difficult to increase the temperature of the rice koji throughout the process. However, washing, soaking and steaming were all very successful, so we kept a watchful eye on the koji, ensuring it’s humidity and used all sorts of techniques – like sandwiching the boxes for the 1% koji between other koji boxes – to increase the temperature of the koji rice. Jumpei Sato: Temperature and moisture content were also key to ensure the rice didn’t dissolve too quickly when we made shubo and moromi. The average fermentation temperature was 8.3°C, highest 11.0°C and the lowest 6.0°C for the last 8 days. A cold and long fermentation. Jumpei Sato: We’re experimenting with lots of different ideas, we like to innovate, stay fresh and keep challenging ourselves. I am very excited for the future of my company.